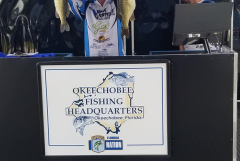 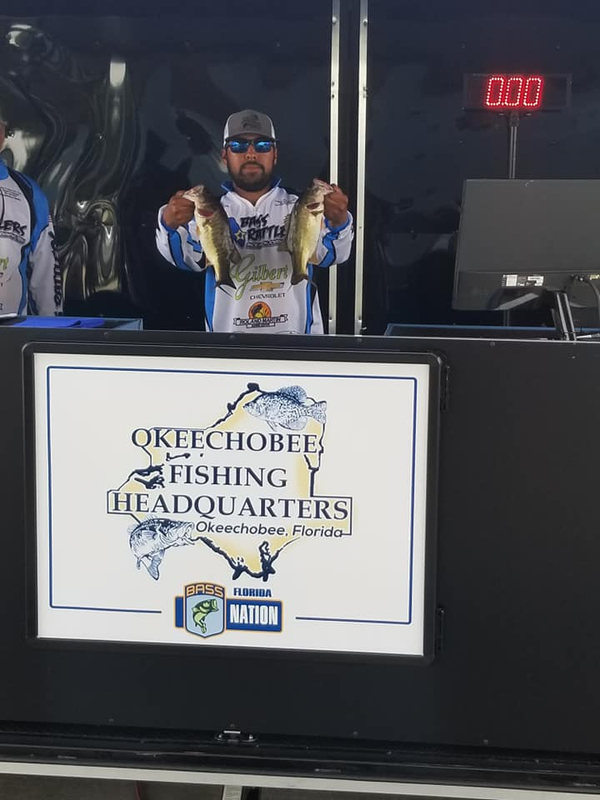 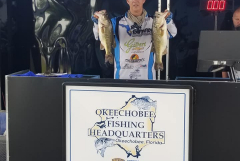 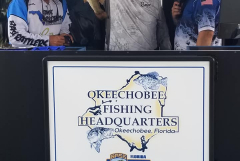 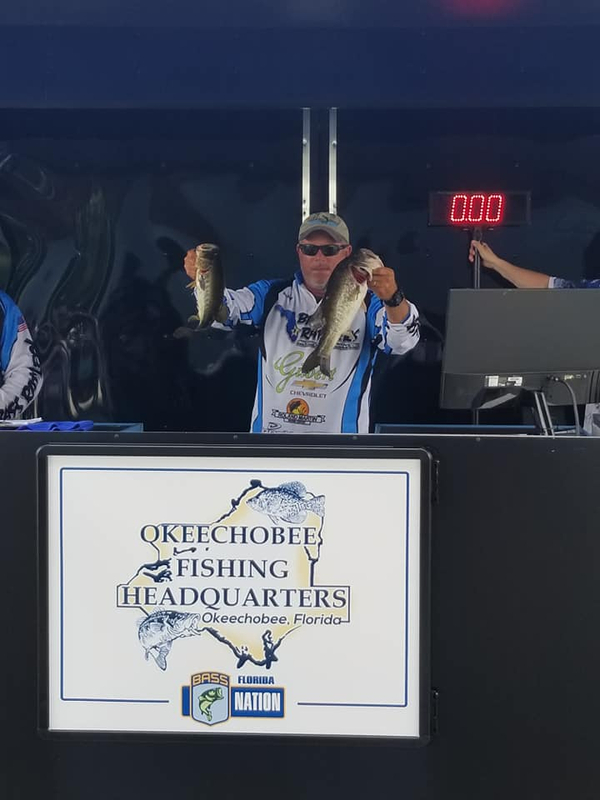 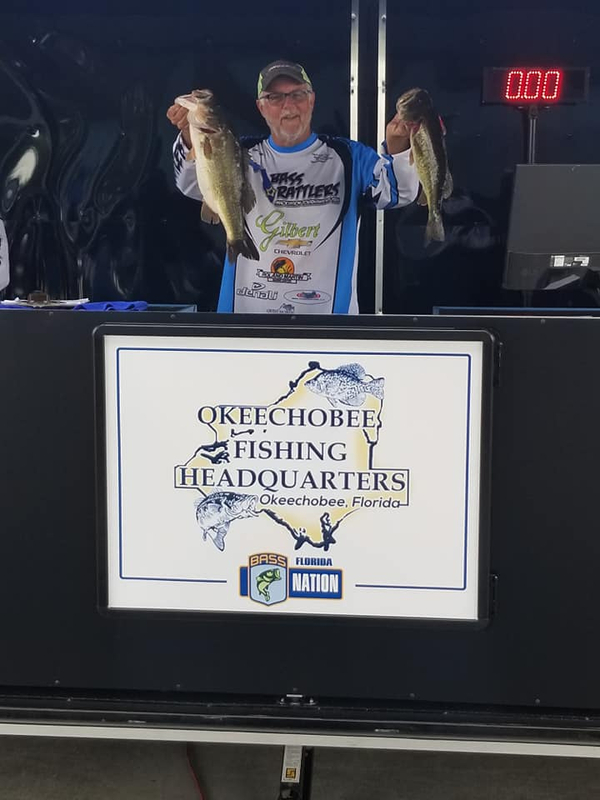 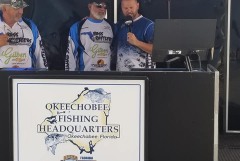 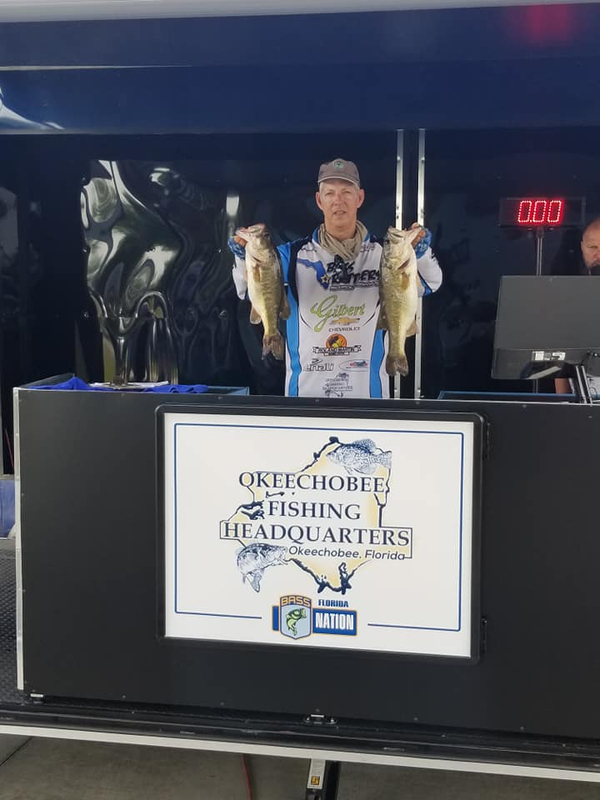 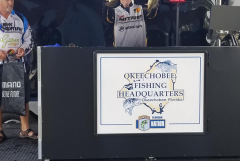 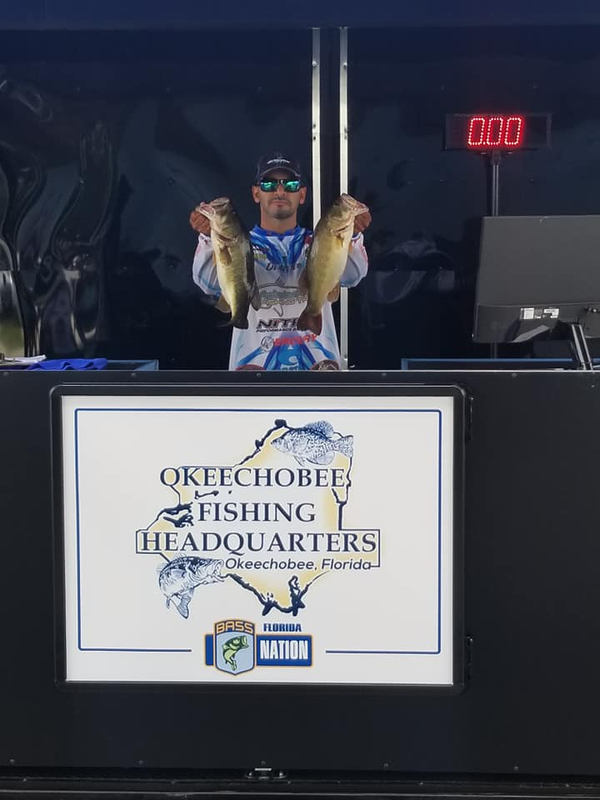 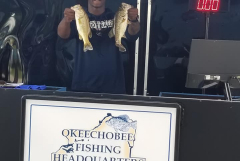 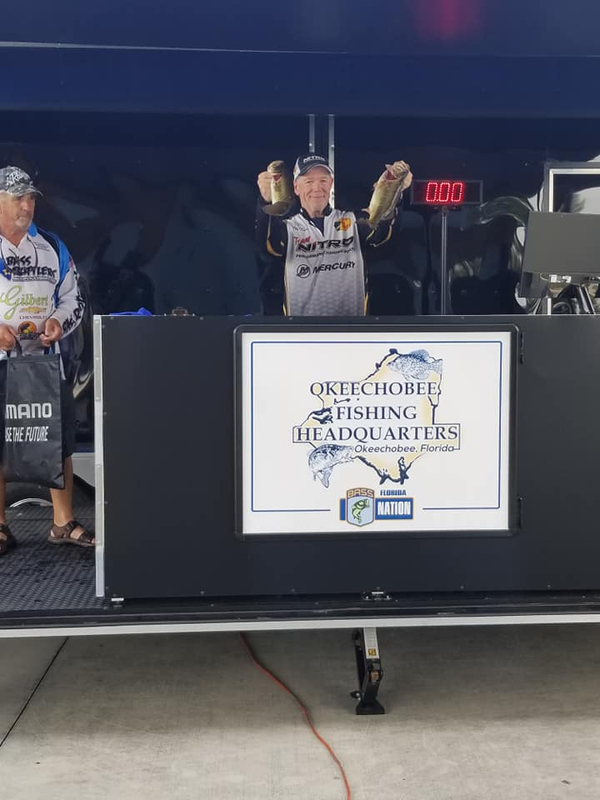 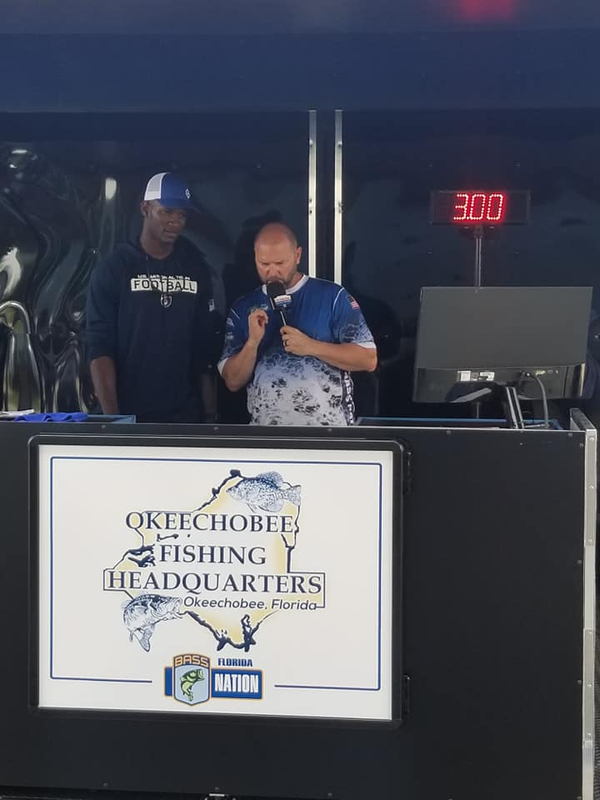 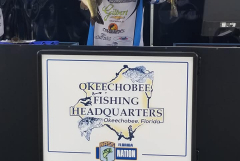 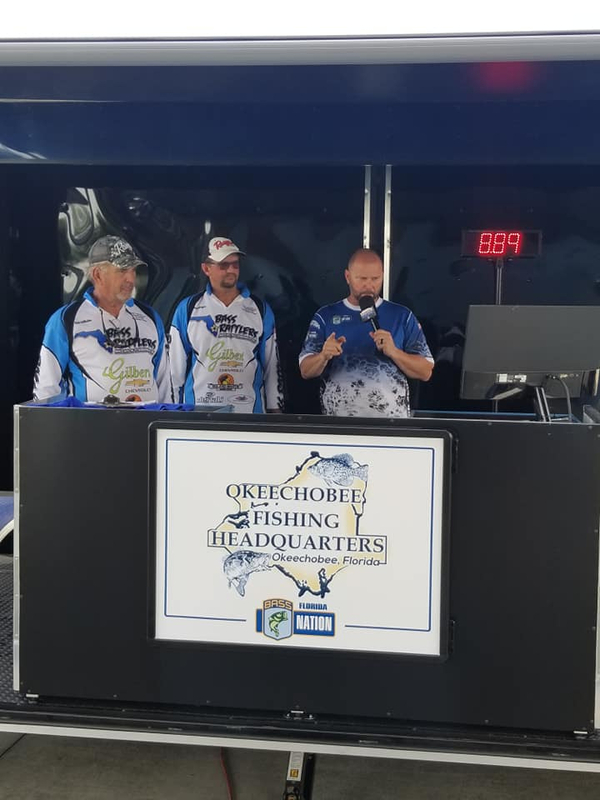 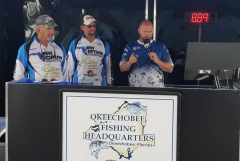 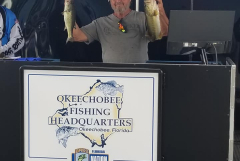 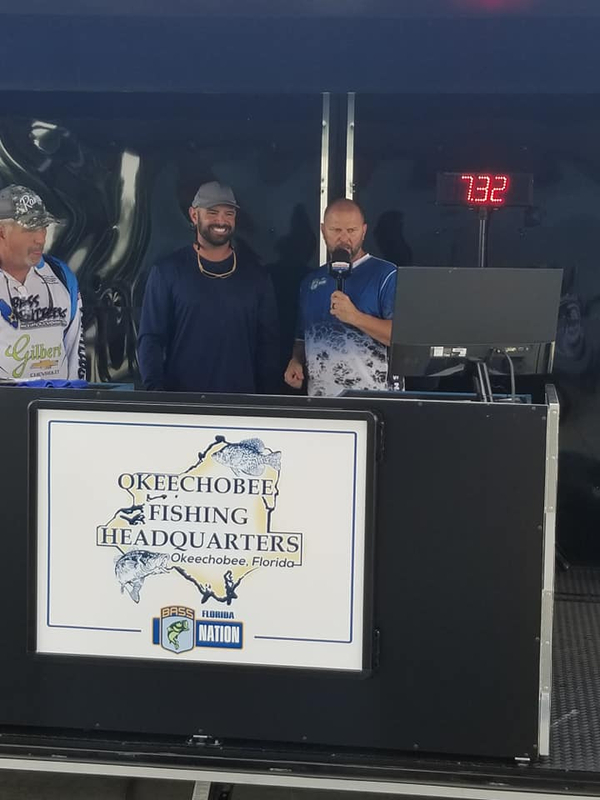 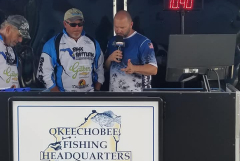 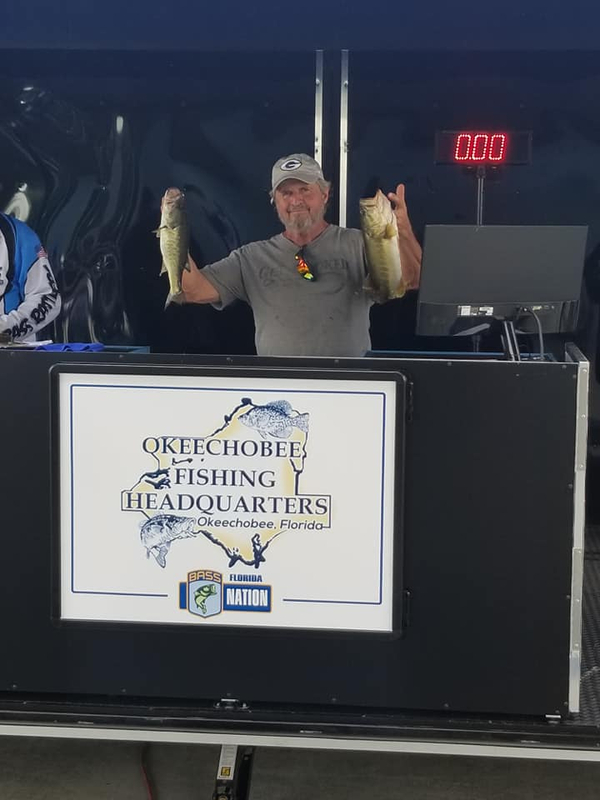 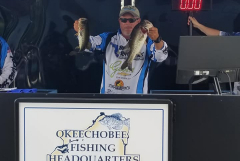 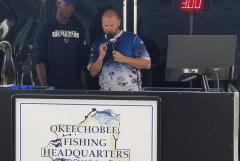 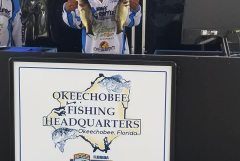 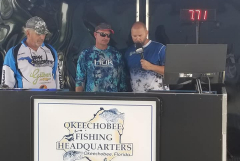 Bass Nation Team Tournament #3 was held under great conditions out of Okeetantie Park in Okeechobee. 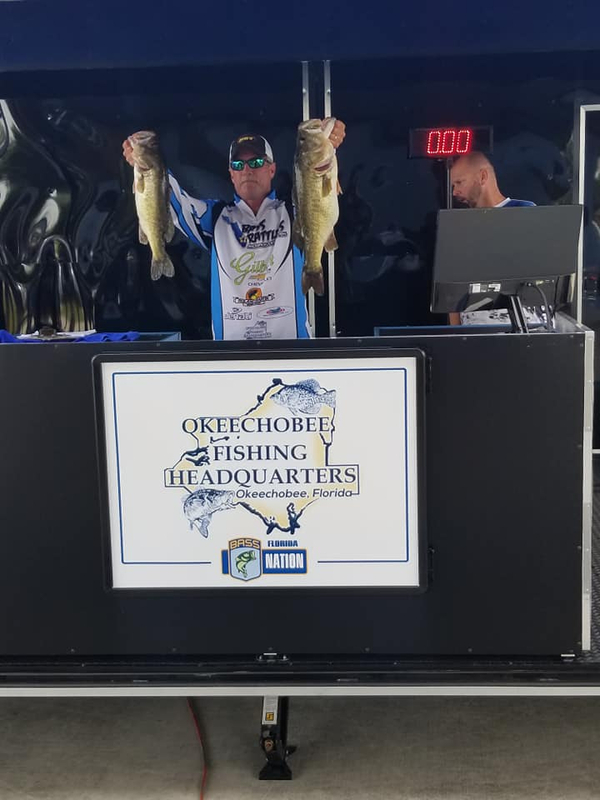 The Tournament was a great success with 23 on the pro side and 11 on the co- angler side for the Bass Nation. 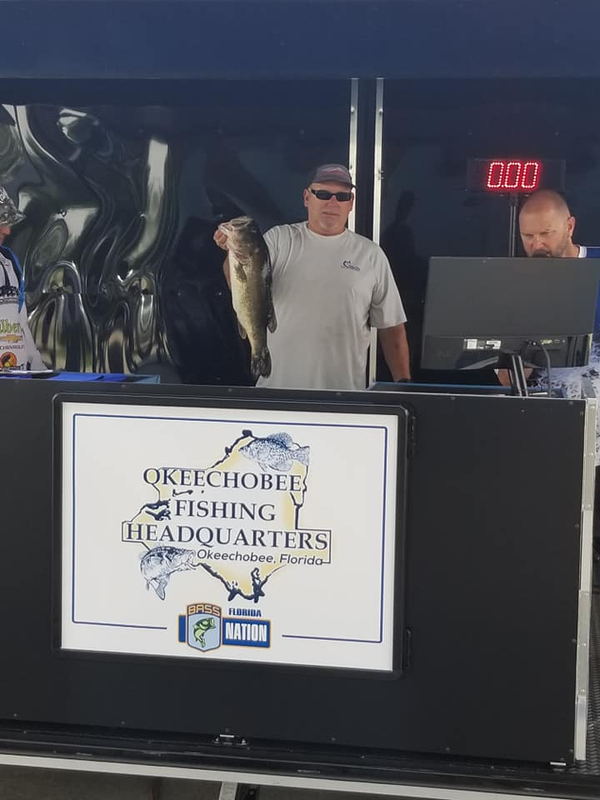 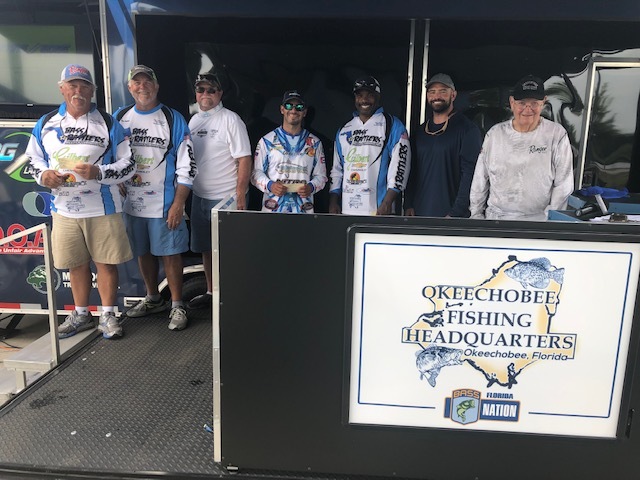 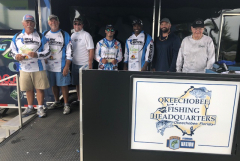 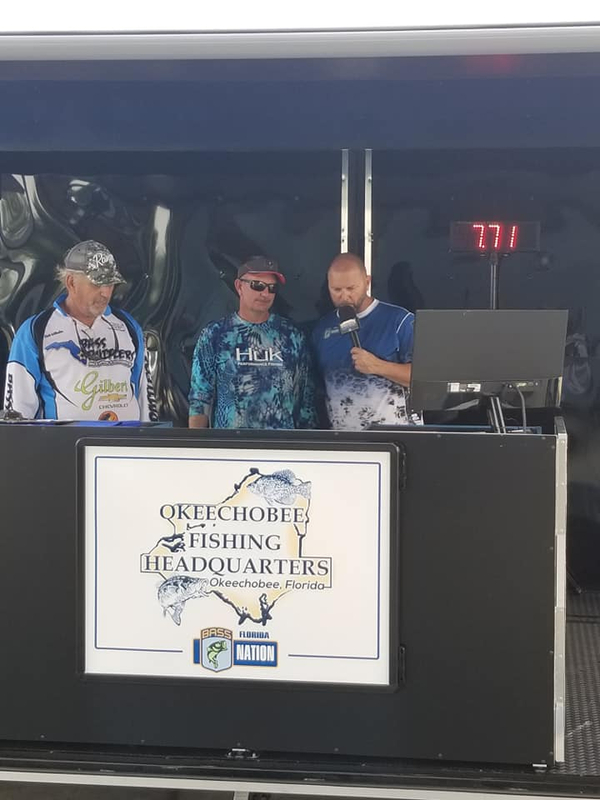 Plus we had the Bass Nation Club Bass Rattlers Association participate with our Pro Am Tournament take off and weigh-in giving us a total of 54 anglers. 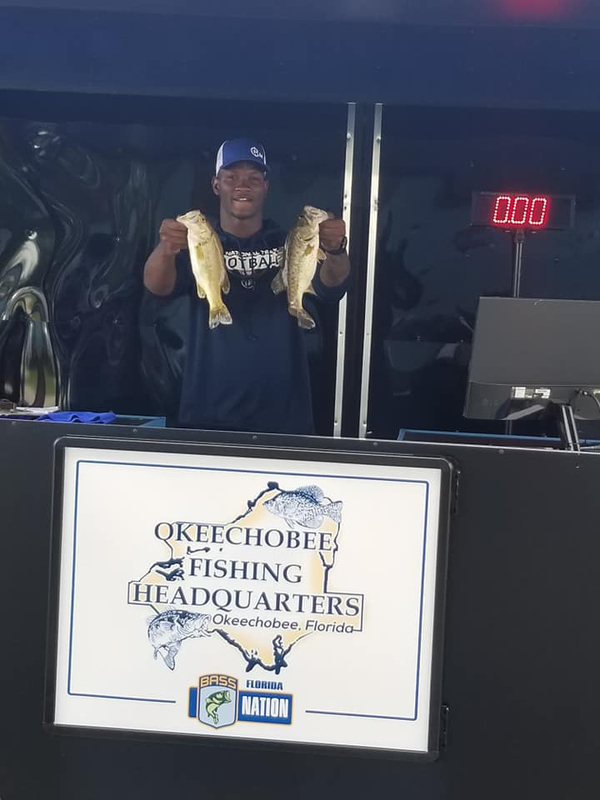 On the Pro side Curtis Lewis took the win with 18.06 pounds. 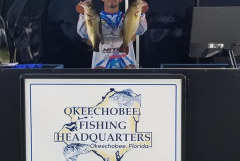 Tim Jackson was 2nd with 17.87 pounds and Yoan Alvarez took 3rd with 15.95. 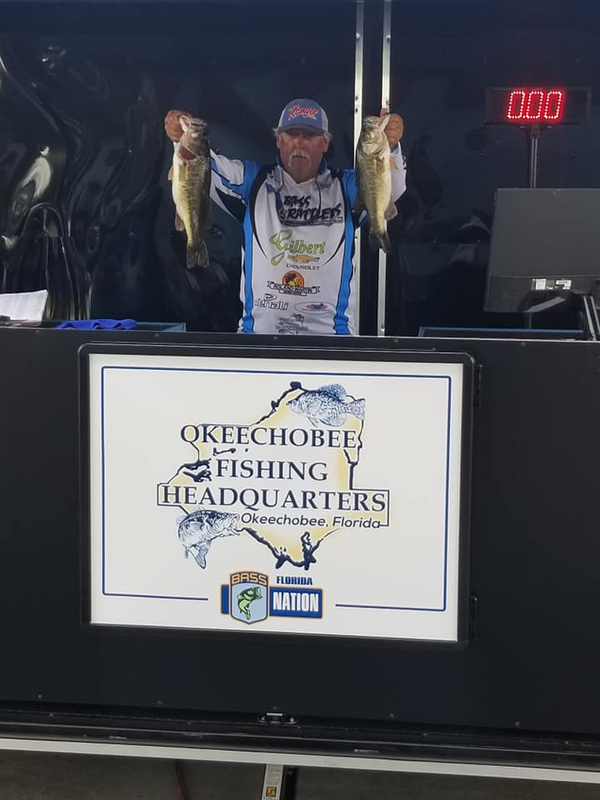 On the Co Angler side Jimmy Haggerty took the win with 7.32, Tom Brown 2nd with 6.93 and Tim McClinton in 3rd with 5.97. 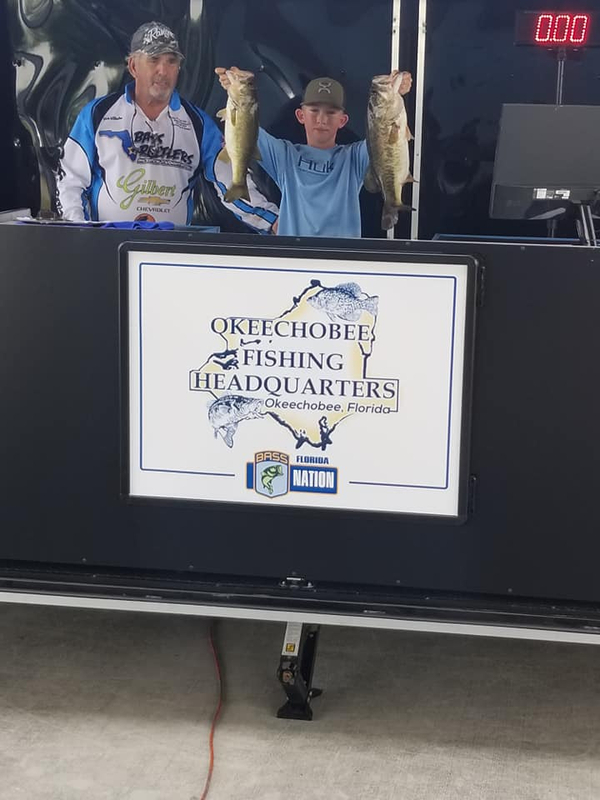 We also had a few Junior Anglers and High School Anglers participate in the Tournament. 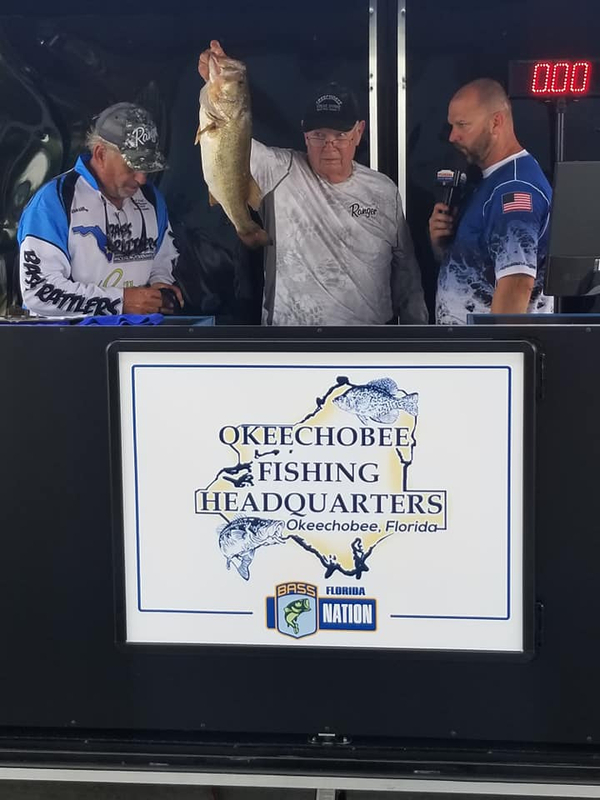 As a guest with the Bass Rattlers 13 year old Sabin Griffis fished with his Grand Father Curtis Lewis and Sabin had a 14.44 pound bag! 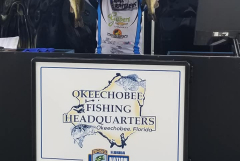 Great job Sabin!! 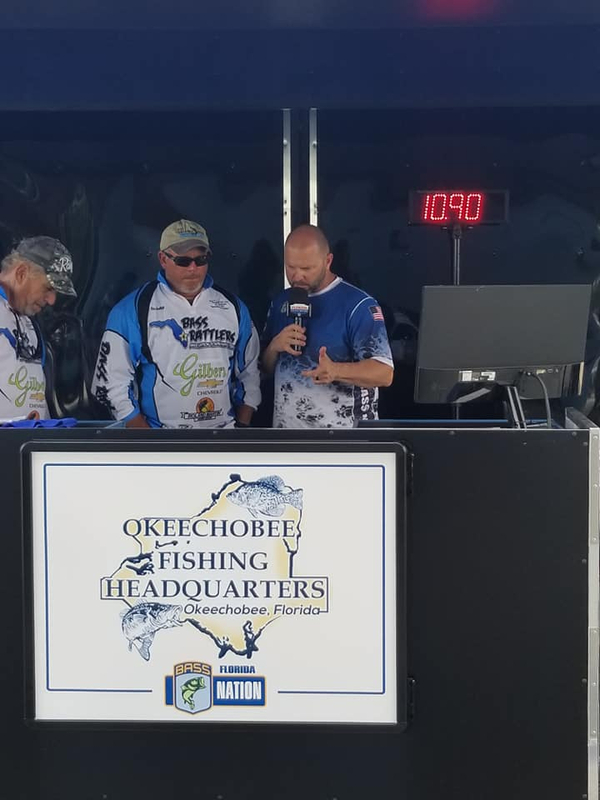 A very special Thanks goes to Glen Cale and David Driggers for bringing the Florida Bass Nation Trailer down. 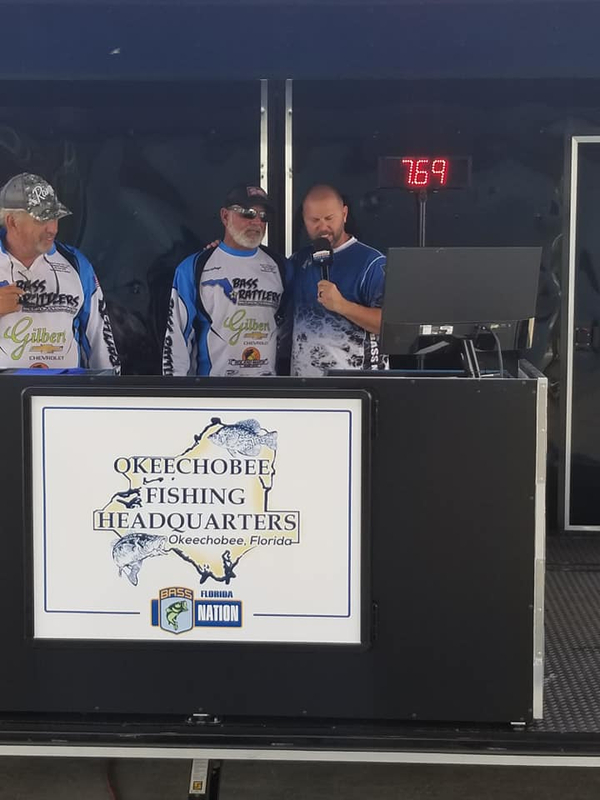 The take off with Glen calling out the boats was first class and Glens job with the weigh in made it as professional as it gets. 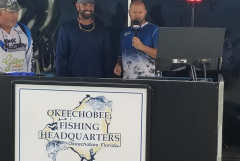 Thanks to David Driggers for coming down and helping Glen with the weigh in. 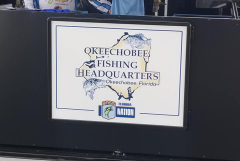 It was a lot of work but and It was a great show. 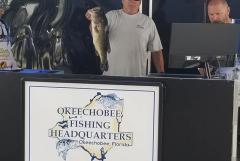 Team Tournament #3 will be held May 19th out of Scott Driver Park in Okeechobee.